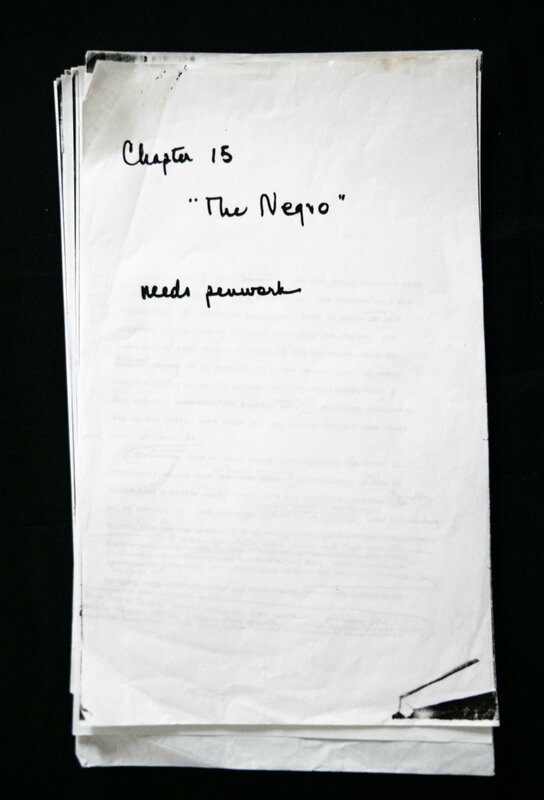 Three missing chapters from “The Autobiography of Malcolm X,” reputedly cut from the manuscript after his assassination in 1965 as they were deemed too incendiary, suddenly appeared and was offered for sale at a Manhattan auction house. 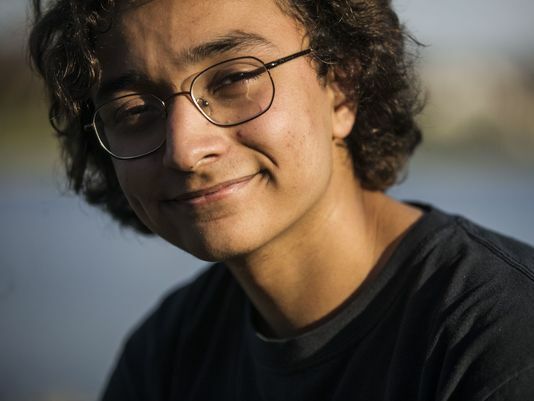 A U.S. citizen sues the government for being the target of a drone attack. 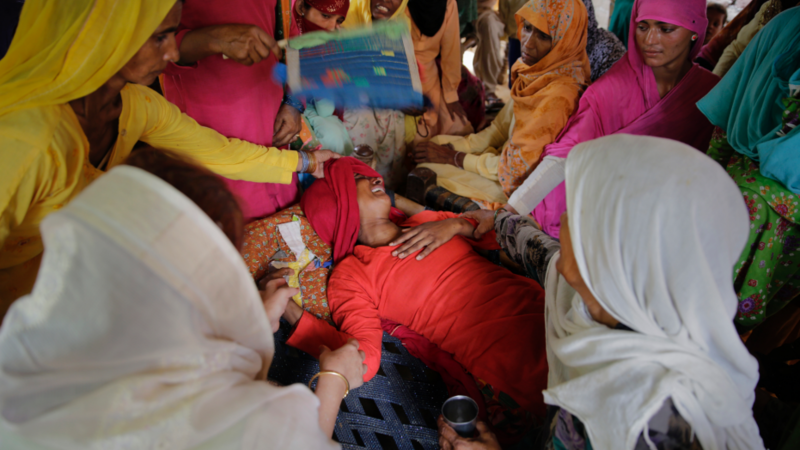 An investigation has been launched regarding Indian officers allegedly taking a tea break instead of tending to a critically injured lynching victim. 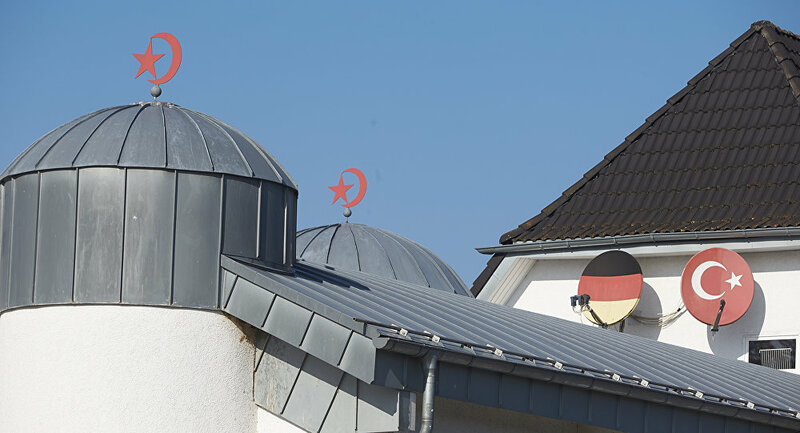 Residents of Kaufbeuren, a small town in Bavaria, voted against providing a 5,000-square-meter parcel of land to the local branch of the Turkish-Islamic religious association, DITIB, who wanted to build a mosque there. 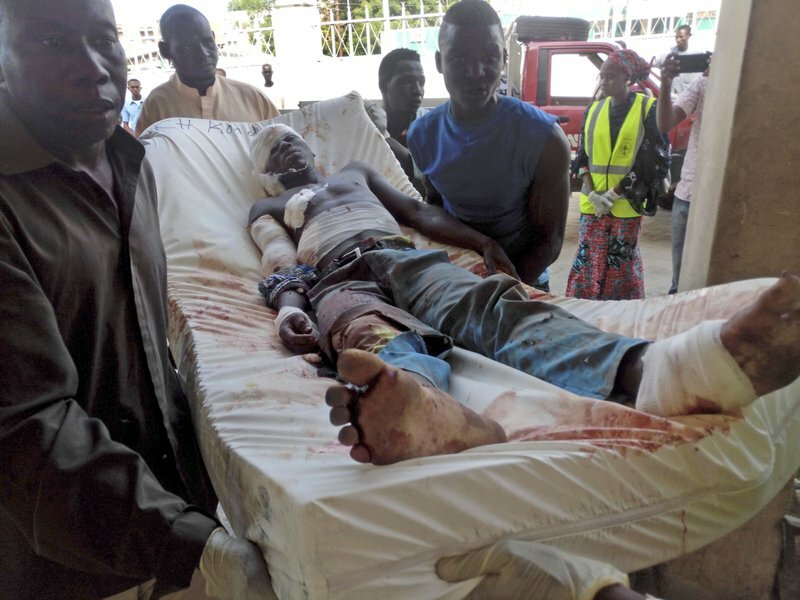 Nigerian officials confirm that there were seven casualties from a suicide attack on a mosque in Konduga town. Part of President Shavkat Mirziyoyev’s efforts to improve the economy of Uzbekistan includes introducing Islamic finance regulations, and setting up an Islamic finance institution to expand the banking sector and enter foreign markets. 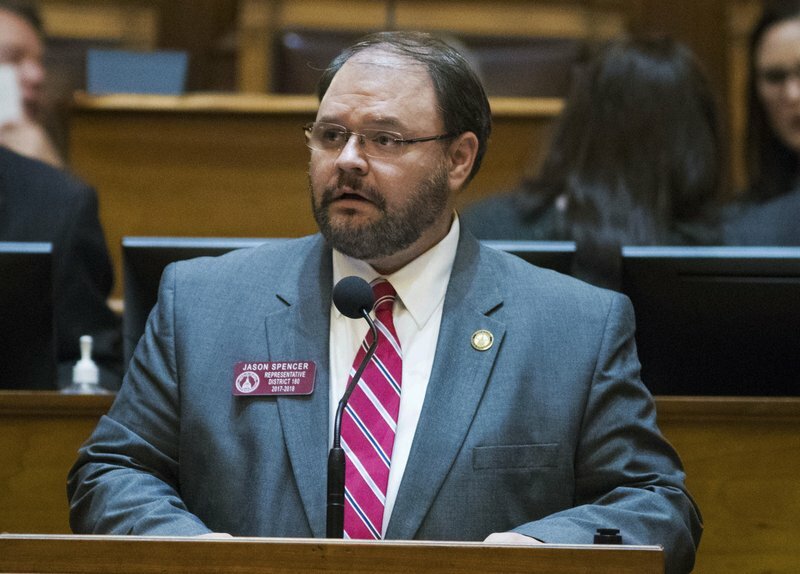 A Georgia lawmaker has been caught with his his pants down on provocateur Sacha Baron Cohen’s new cable TV series, while speaking with a mock Asian accent and yelling a racial slur all in the name of fighting terrorism. 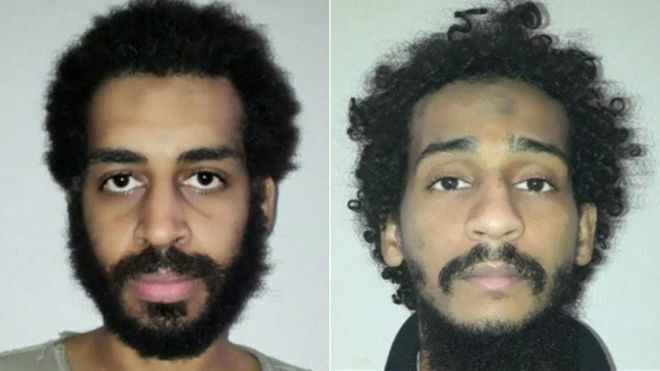 UK home secretary says that the UK would not oppose the use of the death penalty if two alleged Islamic state members were extradited to the US. 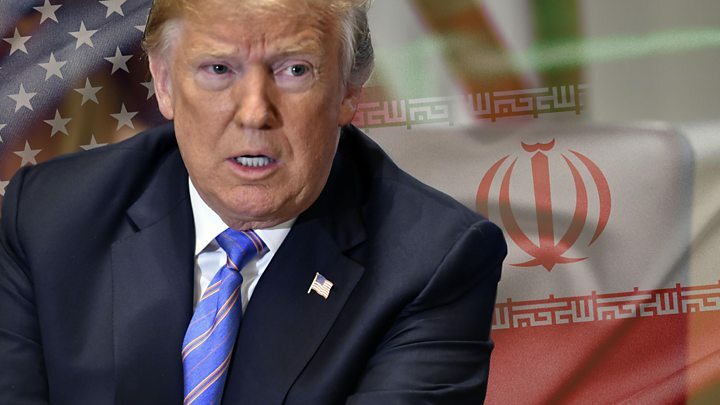 Amid rising tensions between Iran and the United States, President Hassan Rouhani and US President Donald Trump exchange hostile warnings. 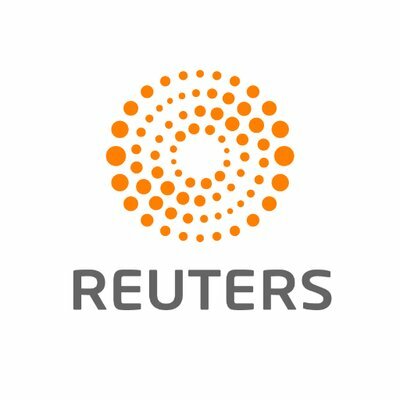 The Syrian government has criticized the evacuation of the White Helmets civil defence group from a war zone in the south of the country. 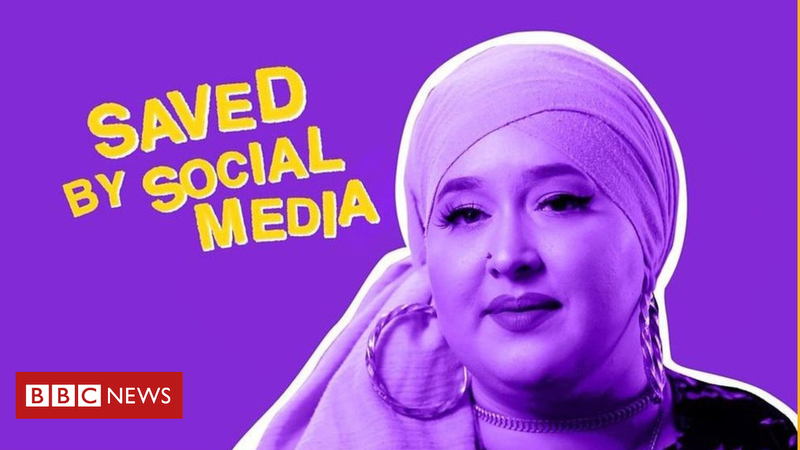 Natasha Toffa helps women who are stuck in abusive relationships around the world through Instagram; she traveled to the US to meet with victims , an event the BBC filmed. 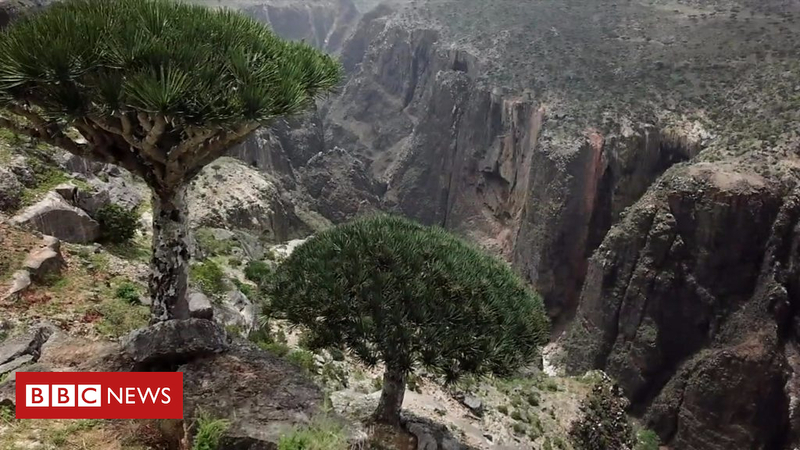 The island of Socotra has escaped the civil war on Yemen’s mainland, but the foreign powers bringing aid and infrastructure to the poor region could threaten its unique ecosystem. 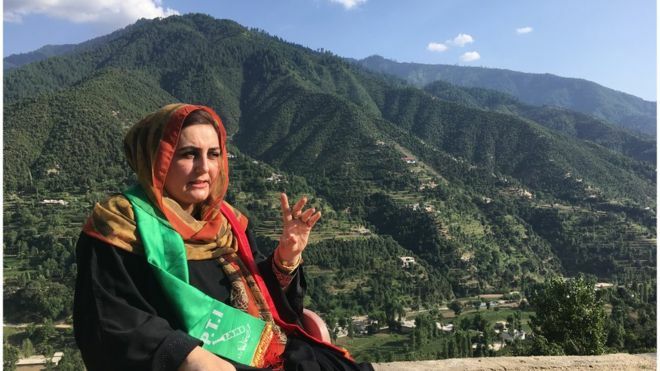 Hameeda Shahid is making history by standing for parliament in a conservative tribal area of Pakistan which borders Afghanistan. 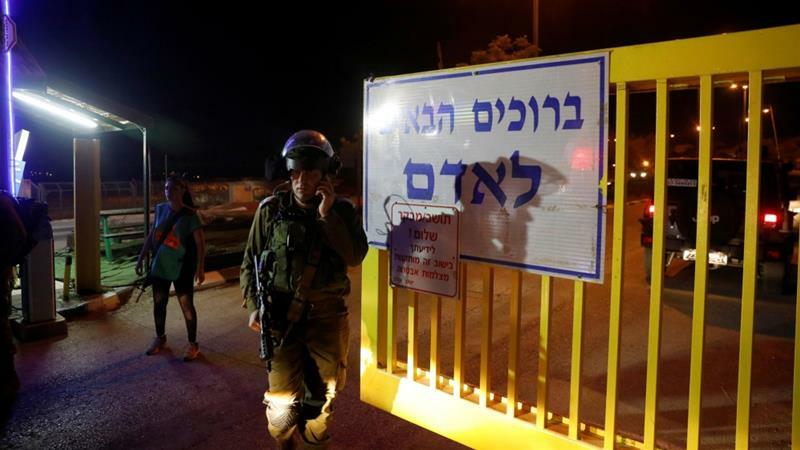 During an overnight raid in the West Bank, Israeli soldiers have shot dead a Palestinian teenager and rounded up at least 11 others. 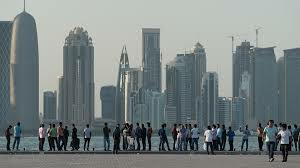 A provisional ruling by the United Nations’ top court has found that the United Arab Emirates boycott measures against Qatar amount to racial discrimination. 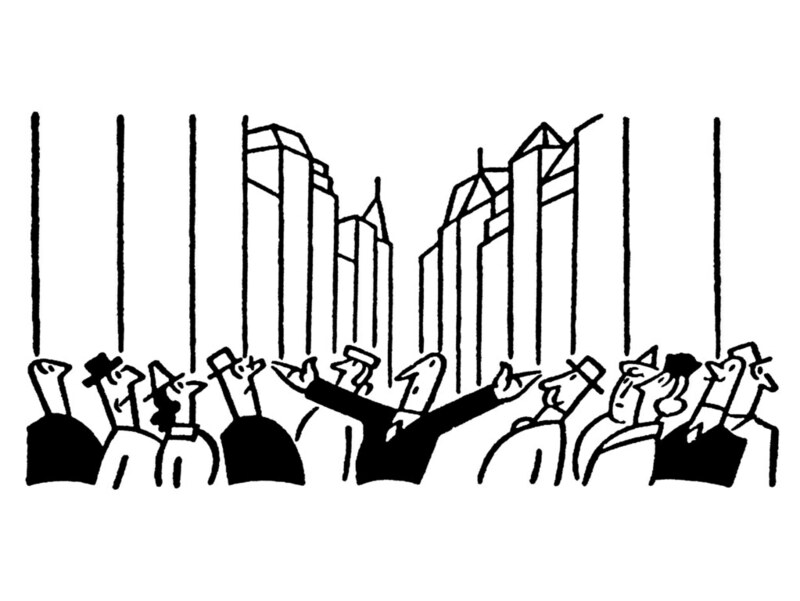 One year ago, an air, sea and land blockade was put in place on Qatar by Saudi Arabia, the United Arab Emirates (UAE), Bahrain and Egypt. 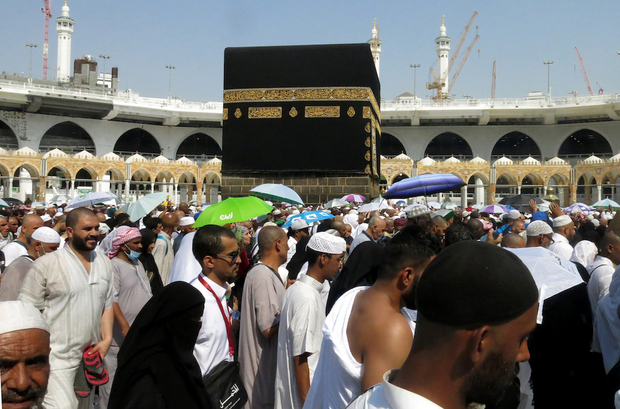 Iranians are concerned that a $200 government stipend offered by the government to each Hajj pilgrim will end up being funneled into Saudi Arabia’s war in Yemen. 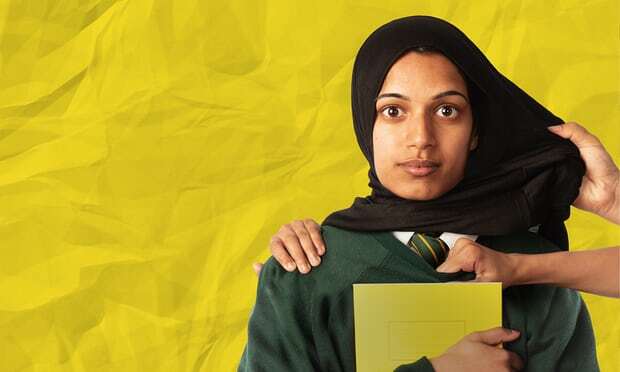 A documentary film on Trojan Horse inquiries regarding the Muslim take over of inner city schools in east Birmingham was released. A new study shows a 30-percent rise in street incidents, and a 16-percent rise in 2017 alone. 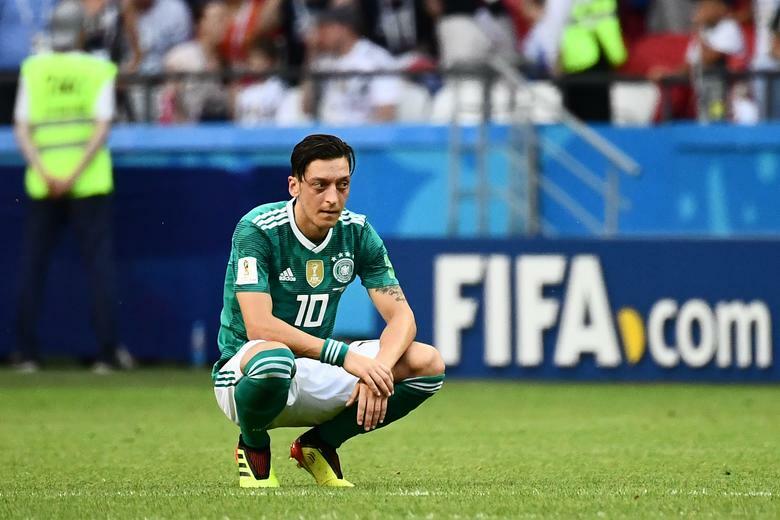 A German football player quit due to racist pressures. 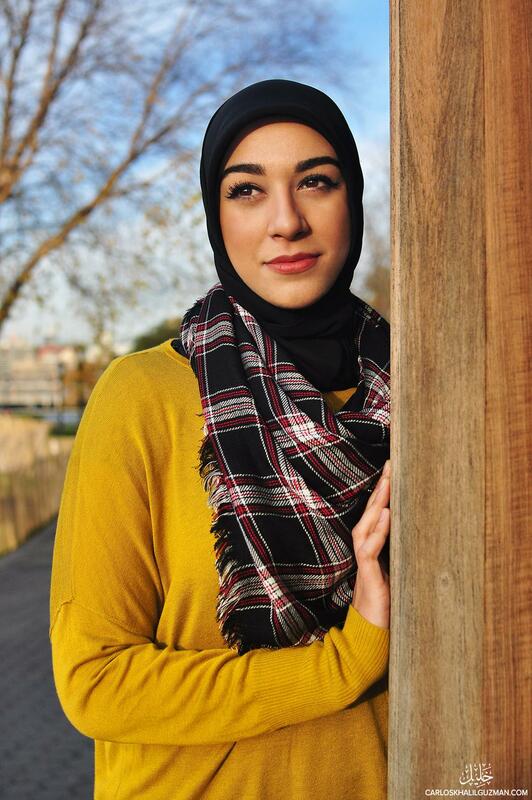 A photographer has been snapping pictures of Muslims in all 50 states to show diversity. 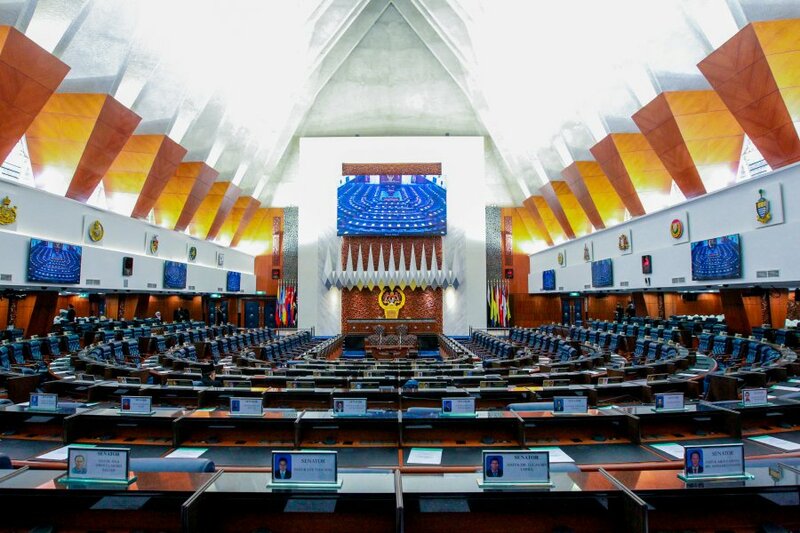 Questions have been raised over the extent to which the government is committed to uphold Islam in Kuala Lumpur, as well as improvements made based on advice from the Council of Elders, are expected to heat up the Dewan Rakyat today. 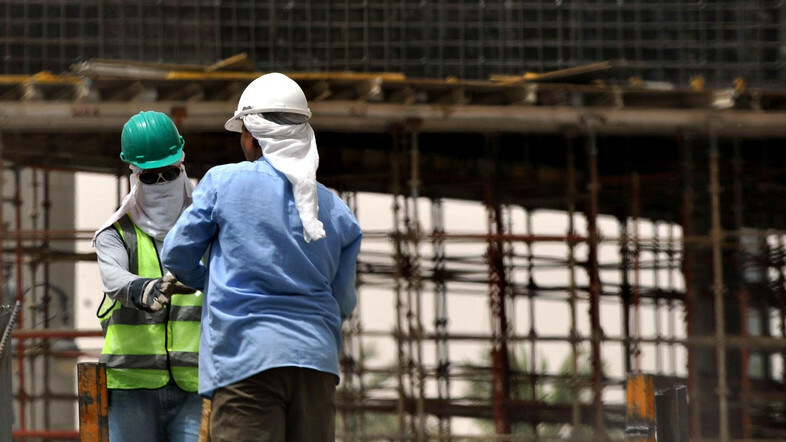 Saudi Arabia’s ministry of justice is on track to launch labor courts as part of the 2030 vision. 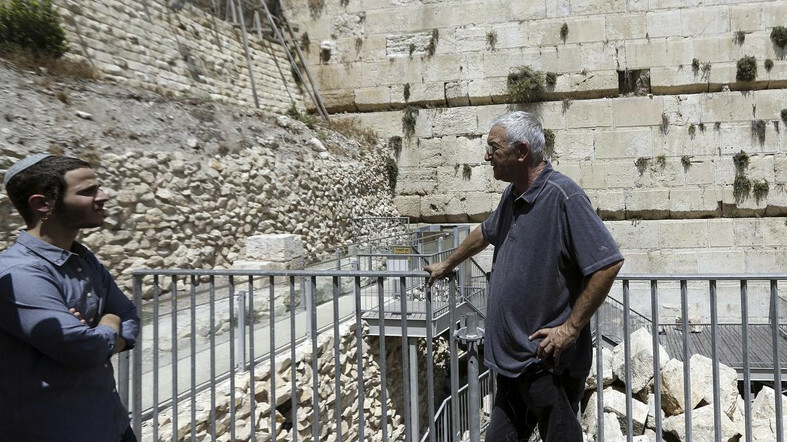 A massive stone block fell from the Western Wall, causing the Jerusalem authorities to restrict access to the sacred site. 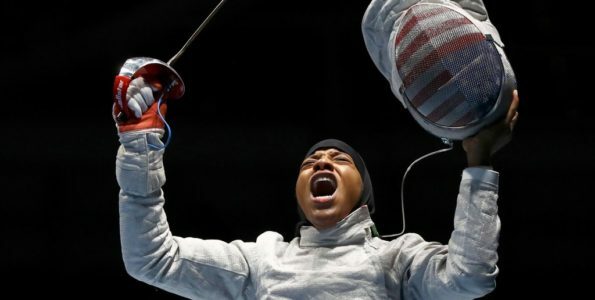 Ibtihaj Muhammad, the first Muslim woman wearing hijab to represent the United States in 2016 Olympics in fencing, has released a book. 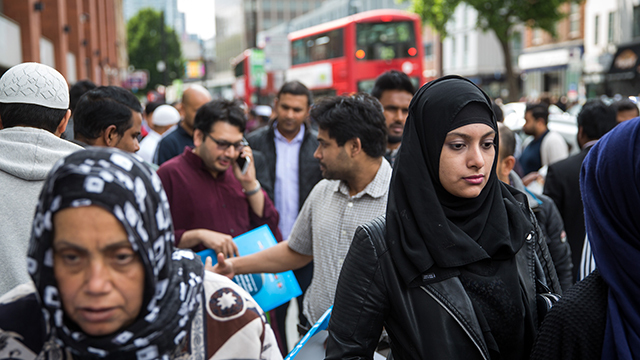 According to a new study by Pew Research Center, Western Europeans who personally know Muslims are more likely to have positive views regarding the religion. 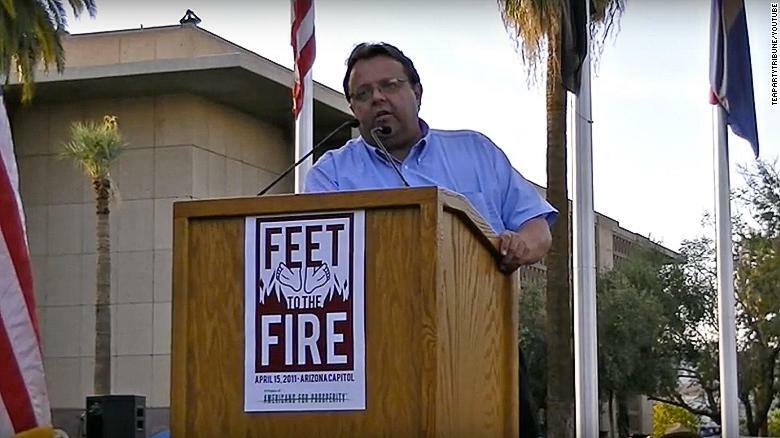 Thayer Verschoor spread theories about former President Obama being Muslim and made anti-Muslim comments while working for the Trump campaign. 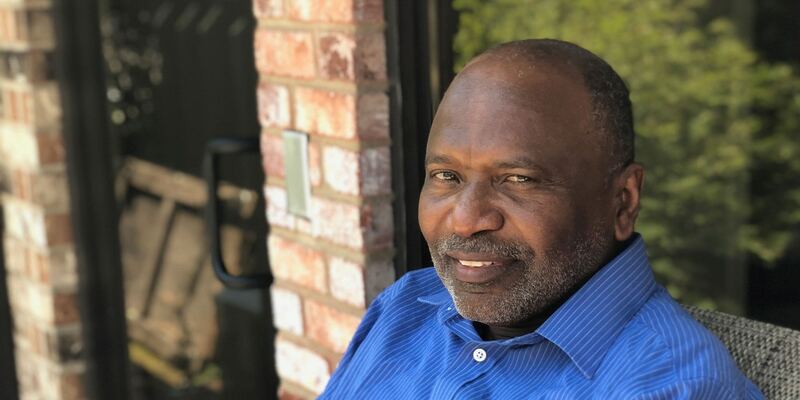 Mark Keith Robinson, a vocal right wing activist, spread homophobia, misogyny, and Islamophobia. 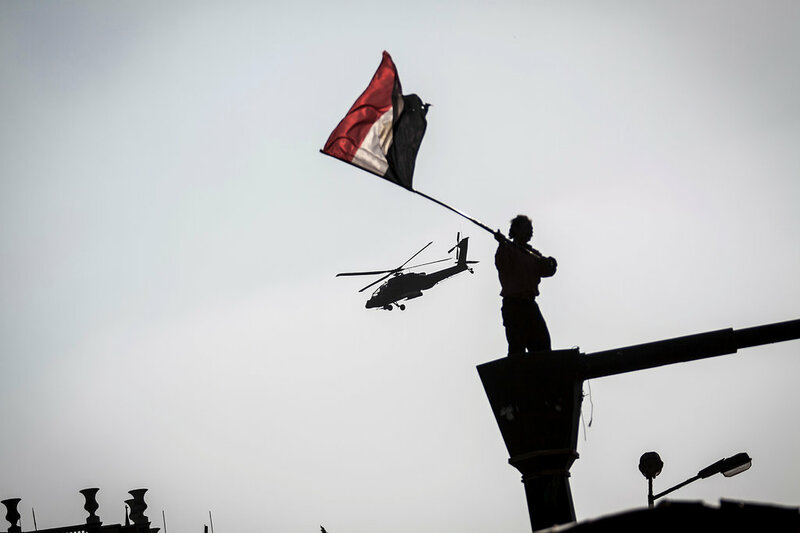 Popular uprisings in north Africa during 2010 and 2011 allowed for participation of political parties across the spectrum, including Islamist parties. 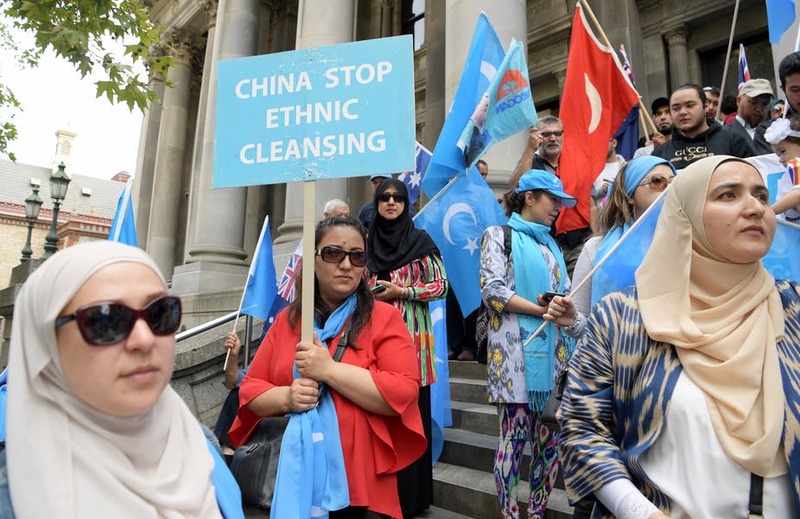 Extensive reporting by international media and human rights groups indicate that thousands of Uyghurs has been detained in reeducation centers in the Xingjiang region of China. 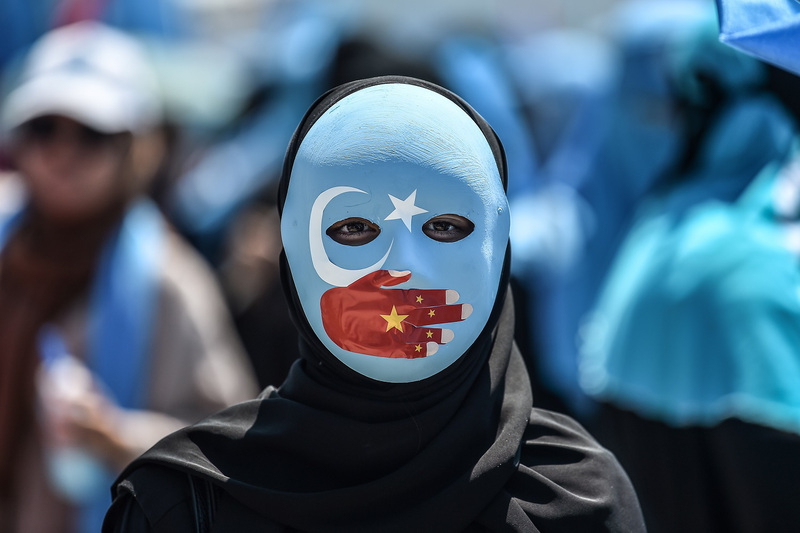 Thousands of Uyghurs, the Muslim minority in China are being sent to camps to renounce God and subscribe to communism. 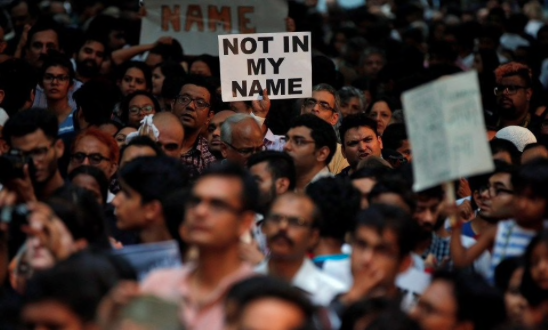 Will Modi Stop India's Cow Terrorists from Killing Muslims? 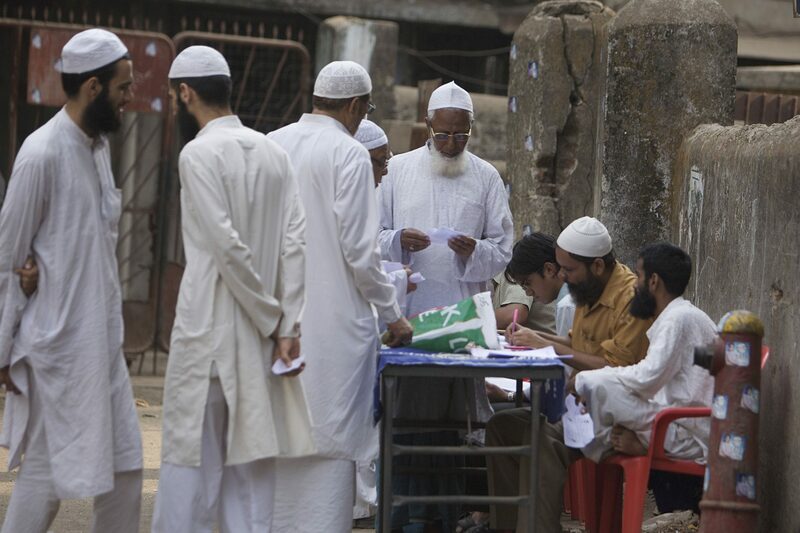 Cow vigilantes are mobs that kill people, mostly Muslims, for allegedly eating sacred cows. 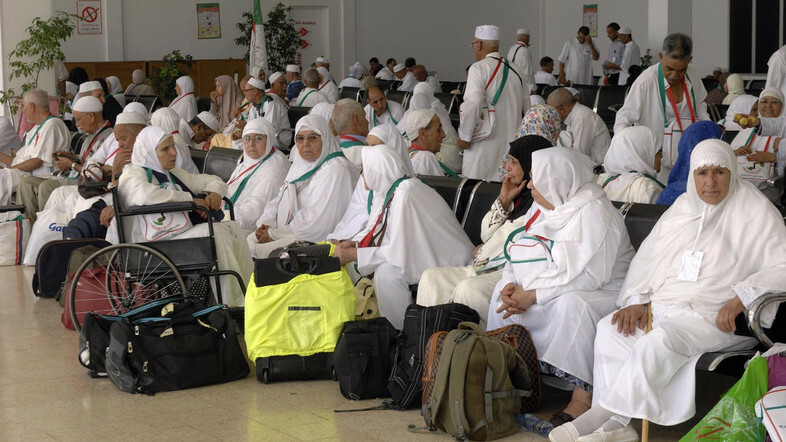 The National Pilgrim-Guide Foundation announced that as of yesterday 207,546 pilgrims have arrived in Medina. 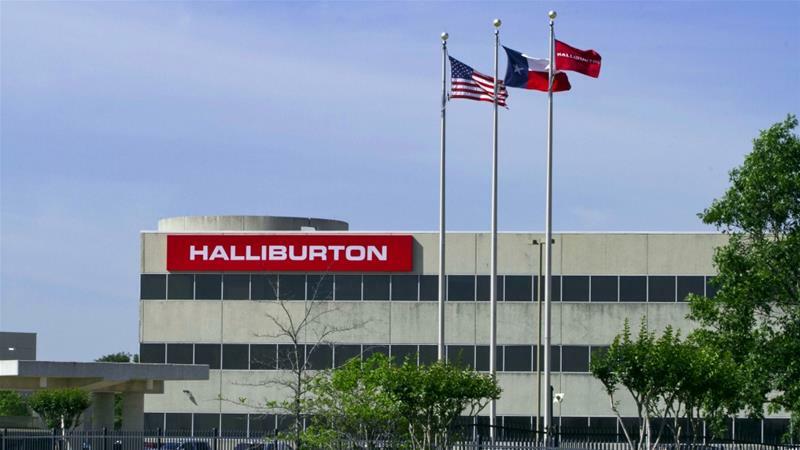 According to a federal lawsuit, alleged discrimination against Muslims has been occurring at Halliburton. 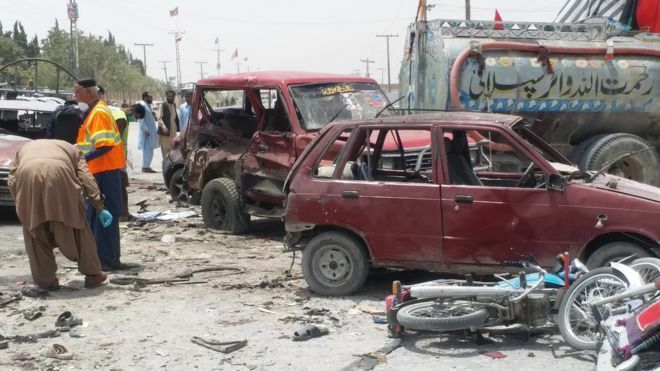 A suicide bomber associated with the Islamic State killed at least 31 people at a polling station on the day of general elections in Pakistan. 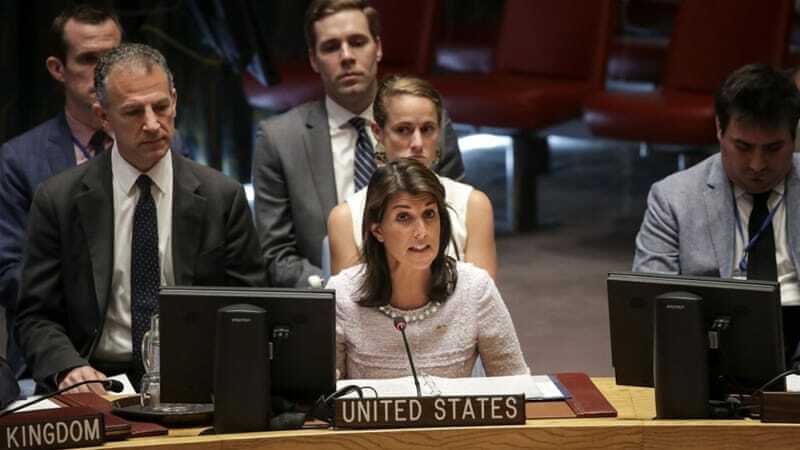 Nikki Haley blames countries in the Middle East for not contributing enough financially to support Palestinians. 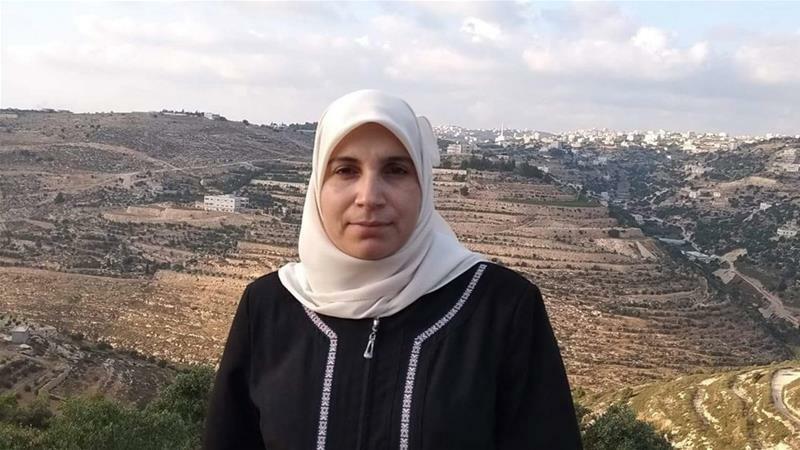 Lama Khater was arrested by 25 Israeli soldiers in front of her two-year old son. 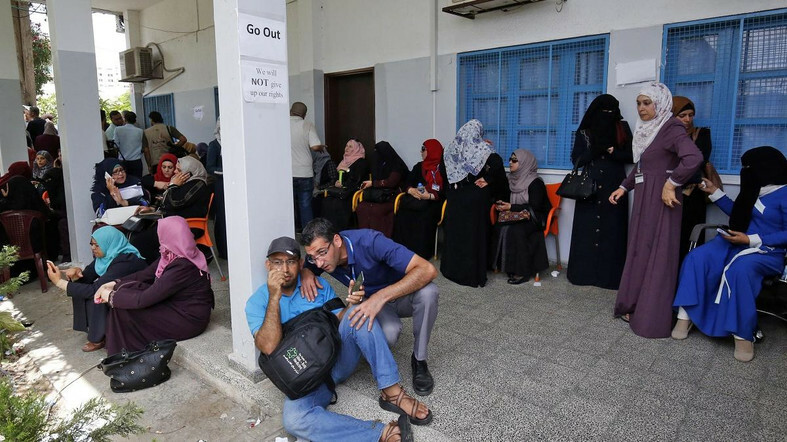 After the United States cut down on aid, the United Nations Agency for Palestinian refugees, UNRWA, announced that it was cutting more than 250 jobs in Palestinian territories. 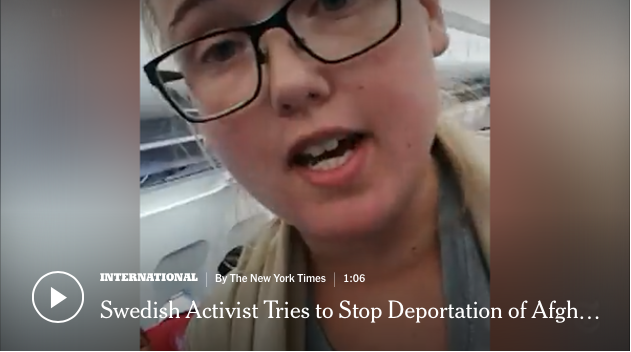 A Swedish student activist refused to sit down on a flight to keep the pilot from taking off with a deported Afghan. 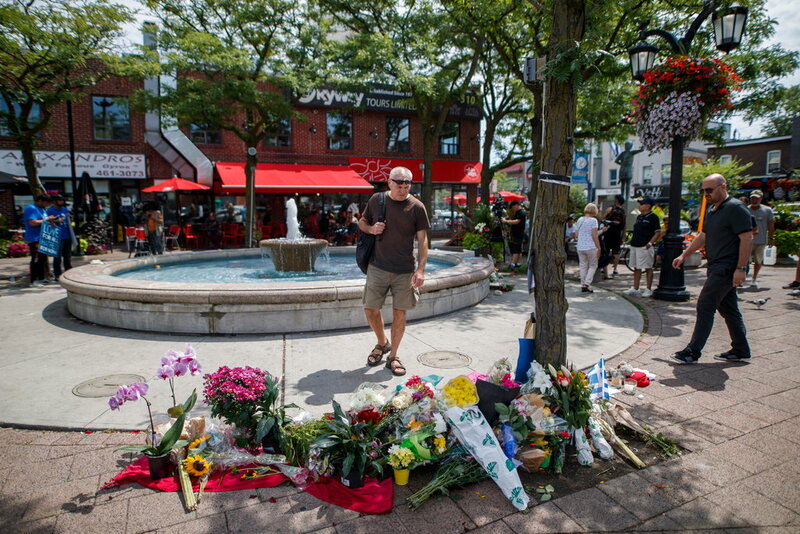 After a 29 year old man opened fire in a busy street in Canada, ISIS claimed that he was their soldier even though the family issued a statement that the man is mentally ill. 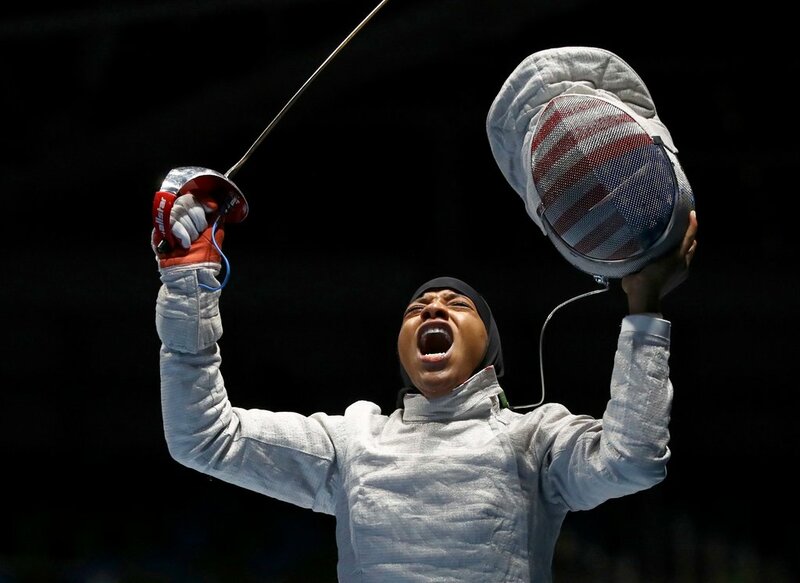 Writer calls for fellow Muslims to better represent Islam and not stand by quietly. 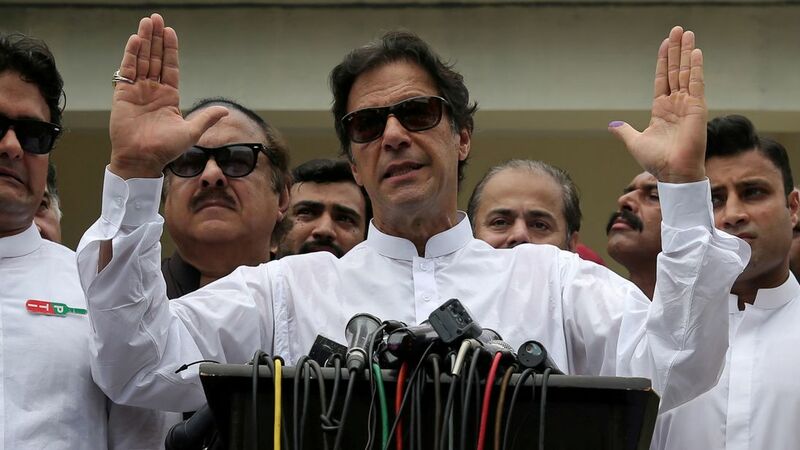 Imran Khan won the divisive general elections that were held on Wednesday. 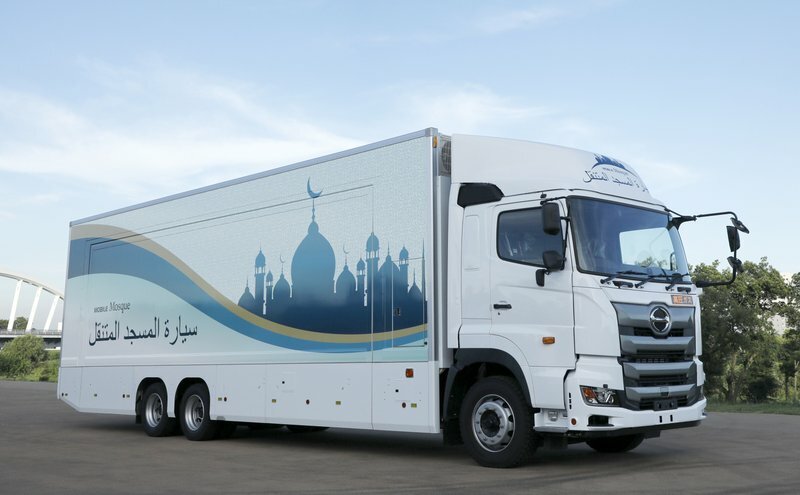 In preparation for the 2020 summer olympics that will be held in Japan, a company made a mobile Mosque to accommodate Muslim visitors. 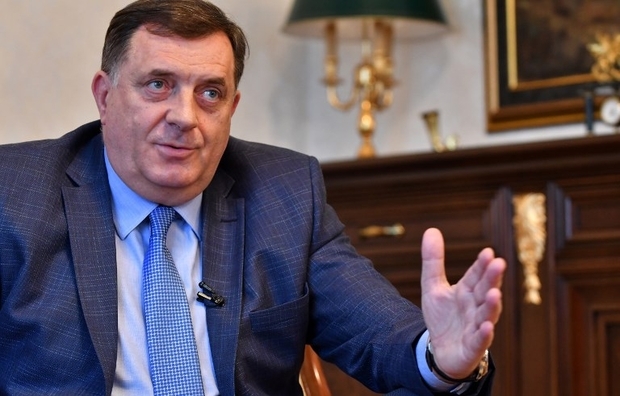 Milorad Dodik, president of Bosnia and Herzegovina’s Serb-majority Republika Srpska, mocks the Muslim call for prayer on a popular TV show. 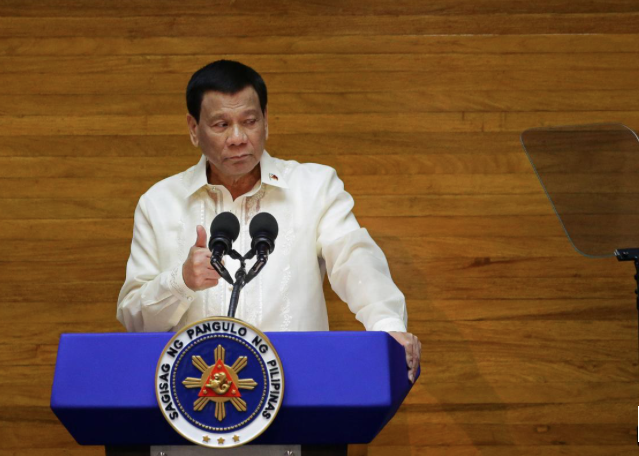 Philippine President Rodrigo Duterte approved a law to allow the Muslim minority in the south to start moving toward self-rule by 2022. 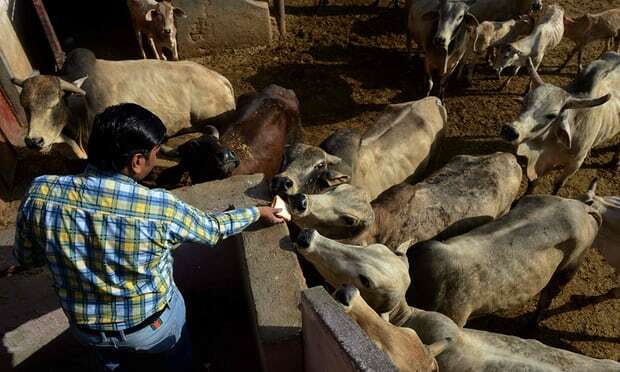 A series of Hindu mob attacks on Muslim cattle traders calls to question the government’s inability to protect the traders. 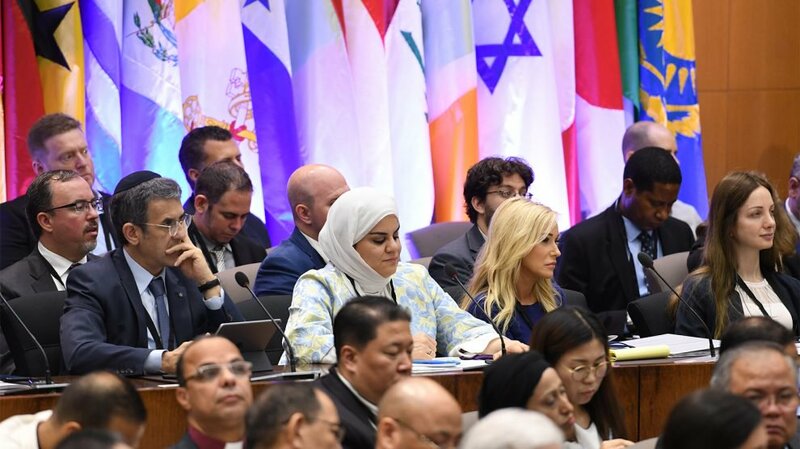 The State Department’s Commission on International Religious Freedom organized an event to promote religious freedom and keep it out of politics. 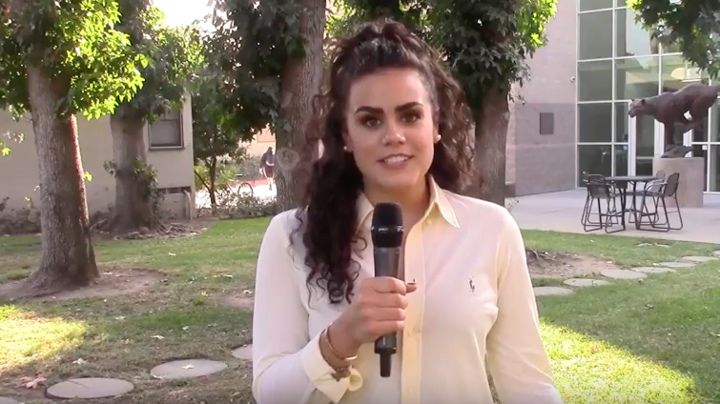 Spokeswoman for the Secretary of Interior, Ryan Zinke, argued in a 2015 blog post that a Muslim “could never serve” as president of the United States. 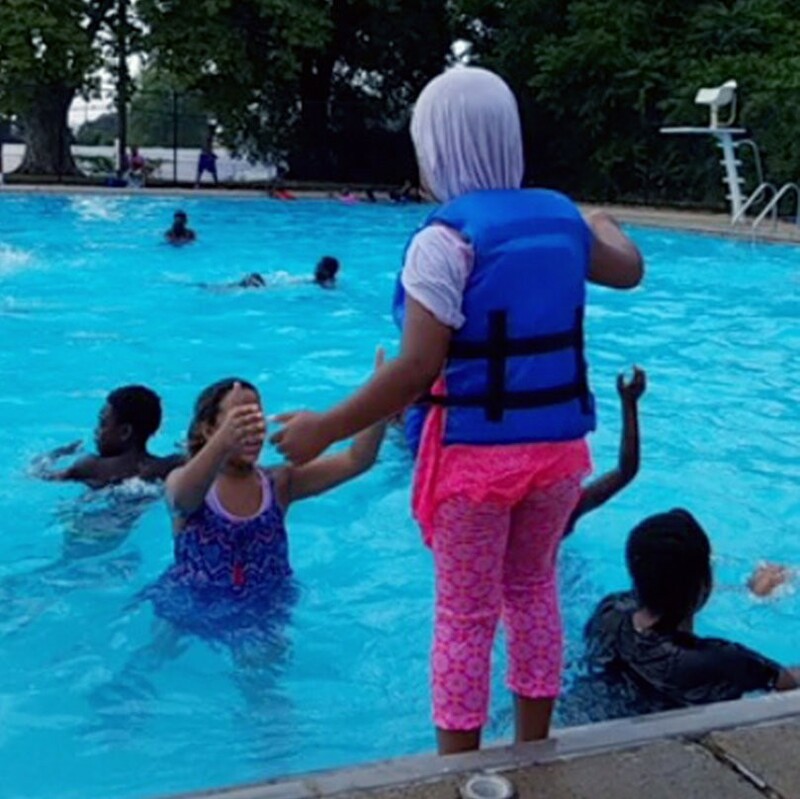 Muslims have been harassed at a city pool in Delaware. 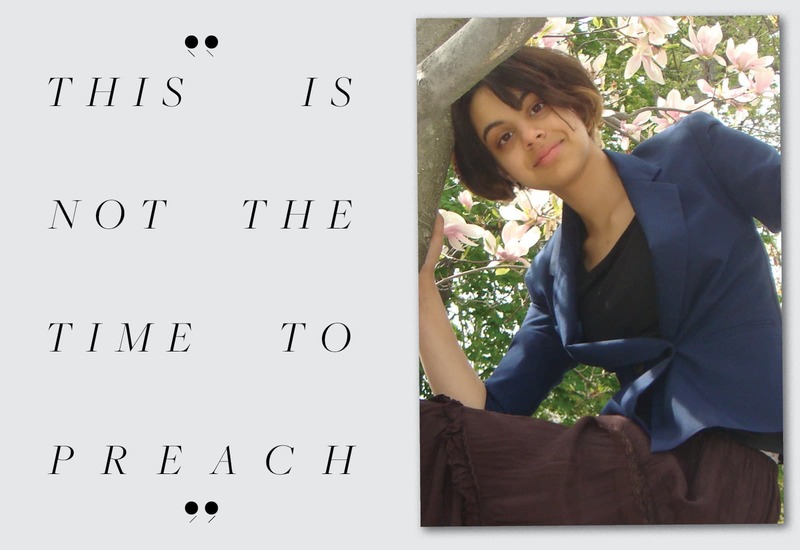 Author urges the Muslim community in India to not be afraid and speak up. 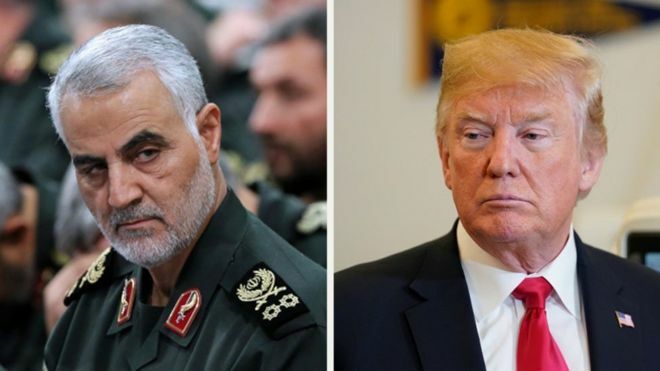 Iranian special forces commander warns Trump that if the United States attacks Iran, the retaliation will be massive. 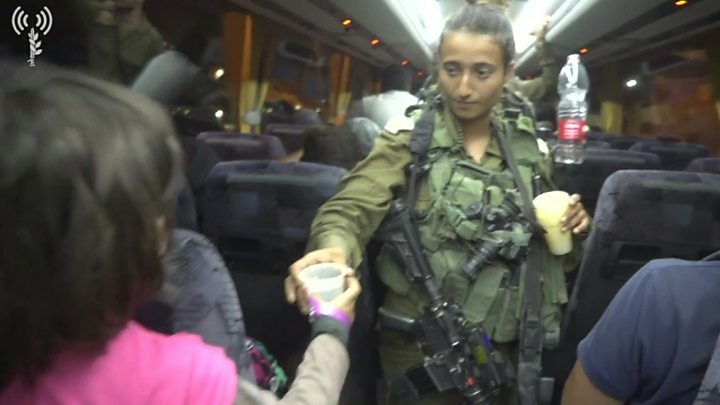 After three Israeli civilians were attacked by a Palestinian, Israel’s Defense Minister announced plans to expand the Israeli settlement. 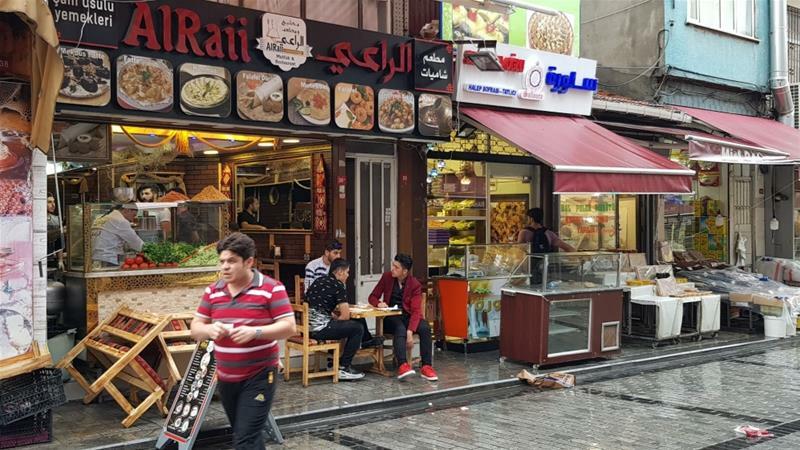 Malta Market Street reminds Syrians of home with its Syrian restaurants and shops. 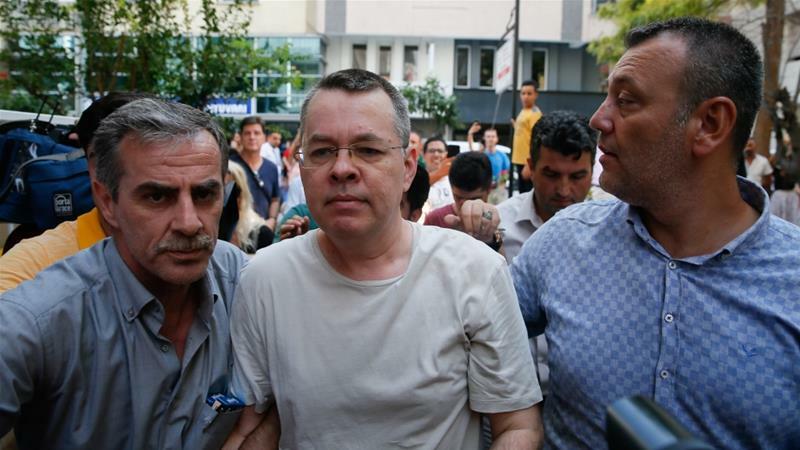 Turkey detained an American pastor over charges of terrorism and espionage, leading the US to threaten sanctions if Turkey does not release him. A Russian delegation arrived in Lebanon to discuss the return of Syrian refugees to Syria, even though the UN deems it unsafe. The Syrian city of Sweida is burying dozens of its residents that were killed in a coordinated attack by the Islamic State. 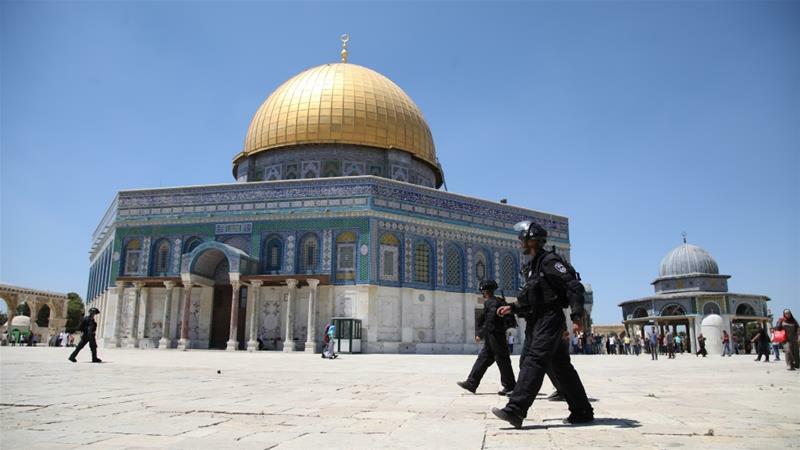 Israeli forces stormed Al-Aqsa mosque in occupied east Jerusalem, firing tear gas and stun grenades at Friday worshipers. 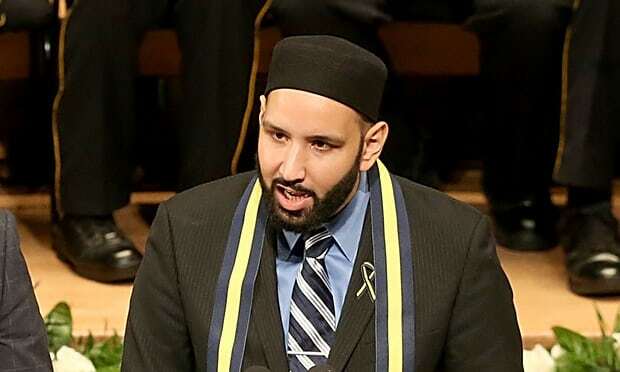 An interview with Imam Omar Suleiman, one of the 200 honorees, whose work on civil rights embodies the spirit of Frederick Douglass. 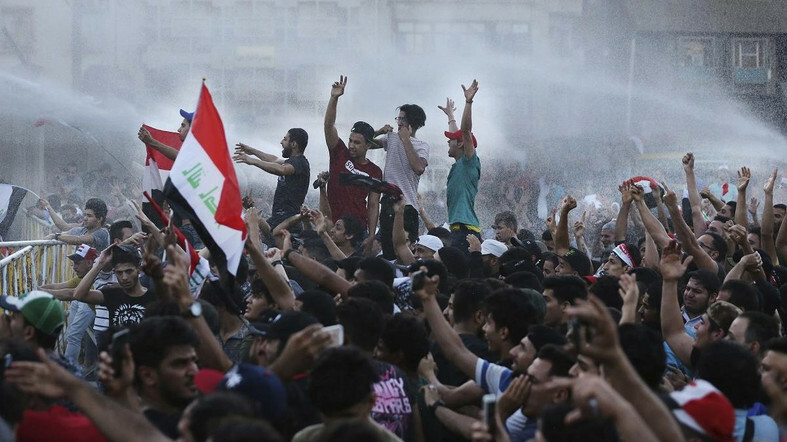 Iraq’s top Shiite cleric Ayotallah Ali al-Sistani warned that there will be other forms of peaceful protests if the government does not meet the demands of Iraqi citizens. 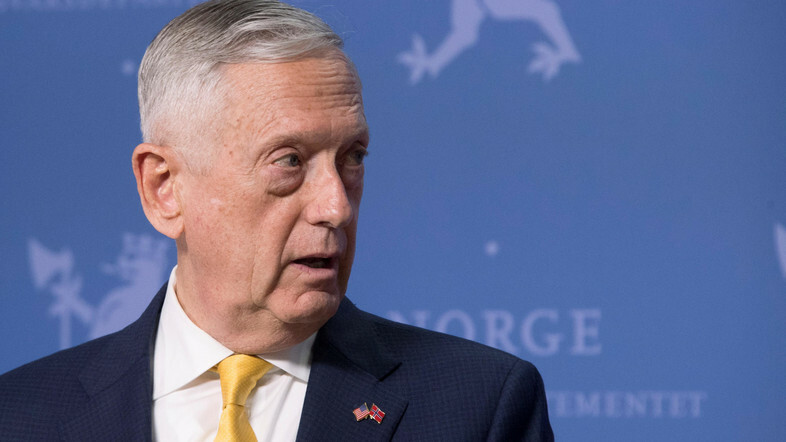 US Secretary of Defense Jim Mattis told reporters that the US goal with Iran is not regime change, but to change its behavior in the Middle East. 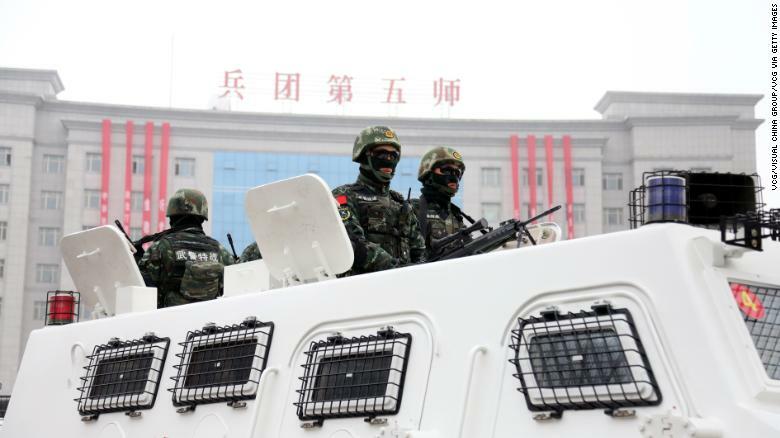 Detentions and disappearances reach into the thousands, as heavy-handed police crackdowns are carried out in Xinjiang. 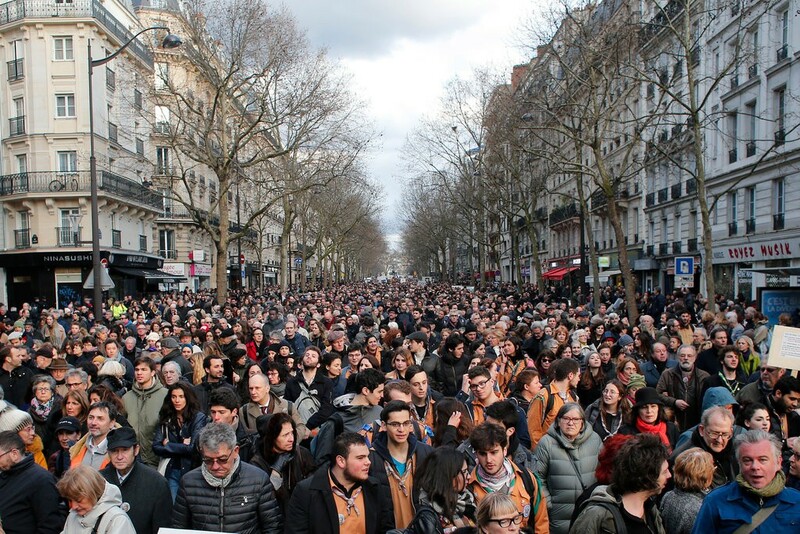 Anti-semitism is returning in some Parisian neighborhoods. 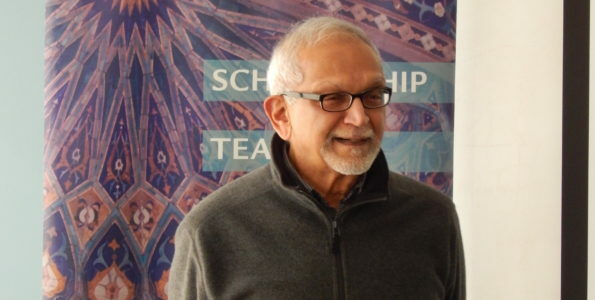 A Muslim leader received a threatening voicemail from Isis, only to be mocked by the FBI. 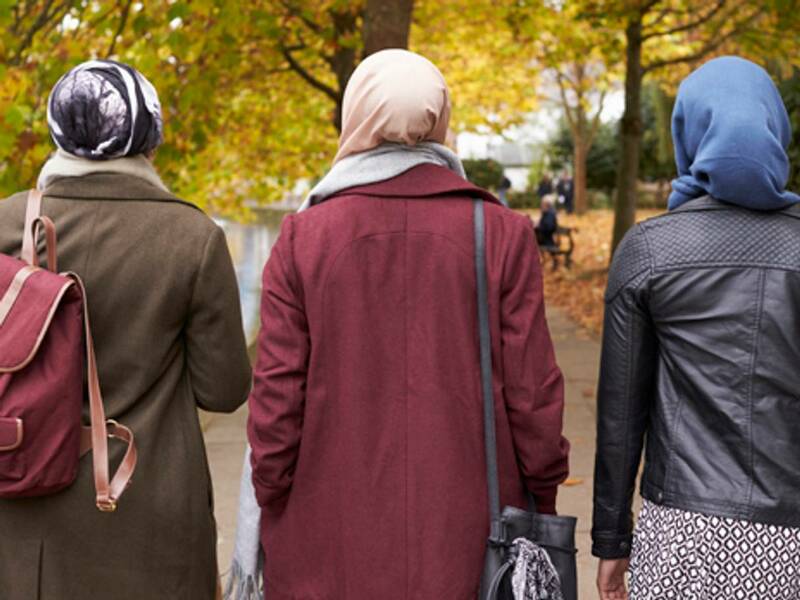 Buzzfeed covers stories about the stigma associated with suicide in Muslim families. 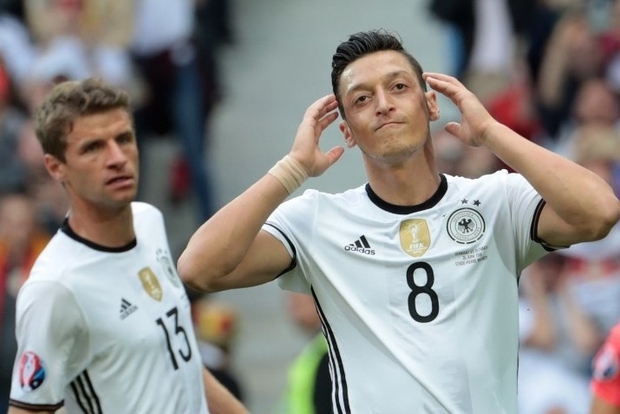 Mesut Özil retired from the German national football team due to issues of racism. 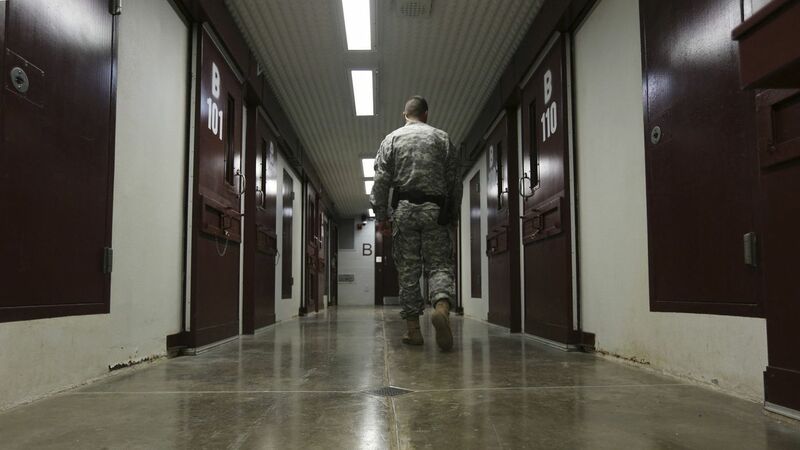 Pakistani arrested and sent to Guantanamo under false charges of extremism writes about his incarceration. 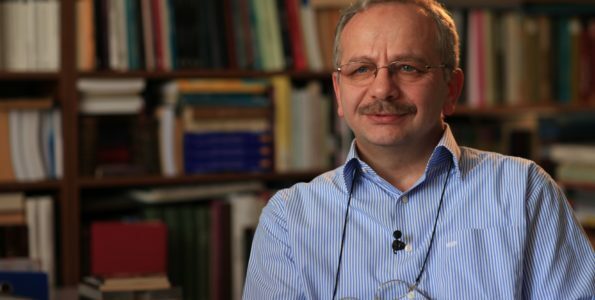 Forced integration through conversion laws targeting minority Muslims takes Europe back to the dark ages. 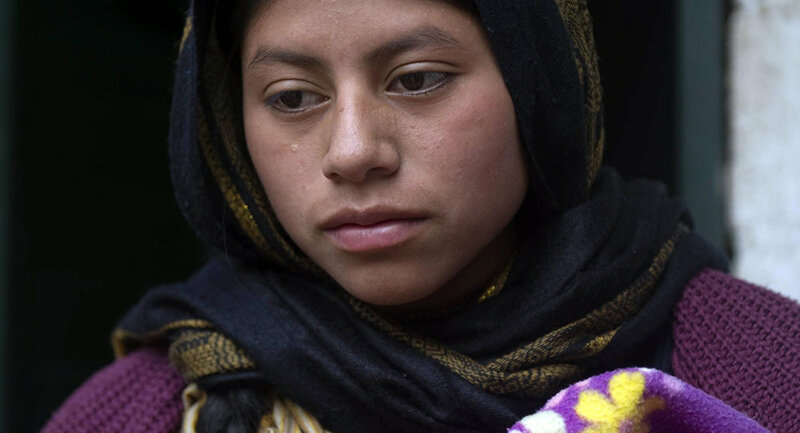 Over the past 20 years San Cristóbal witnessed the growth of a domestic Muslim community. 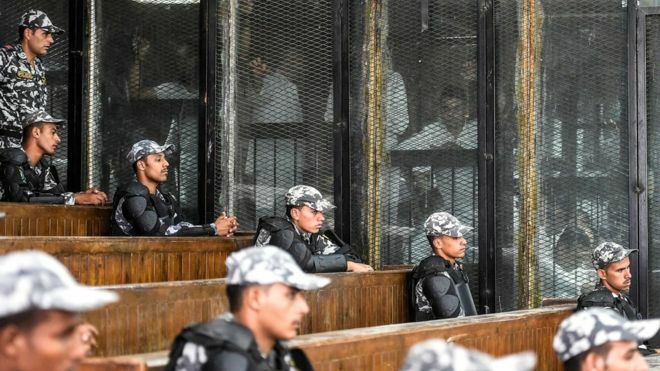 An Egyptian court has sentenced 75 supporters and leaders of the Muslim Brotherhood for 2013 protests after the removal of Morsi. 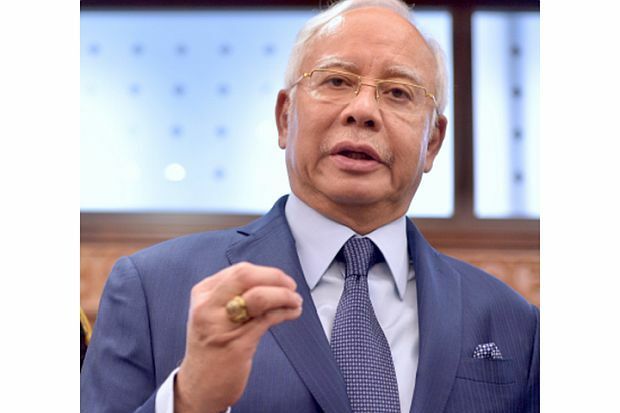 A former Prime Minister of Malaysia demands an apology from Kit Siang over alleged comments linking Islam to kleptocracy in Malaysia. In Sudan, cycling is seen as child’s play and not for adults. 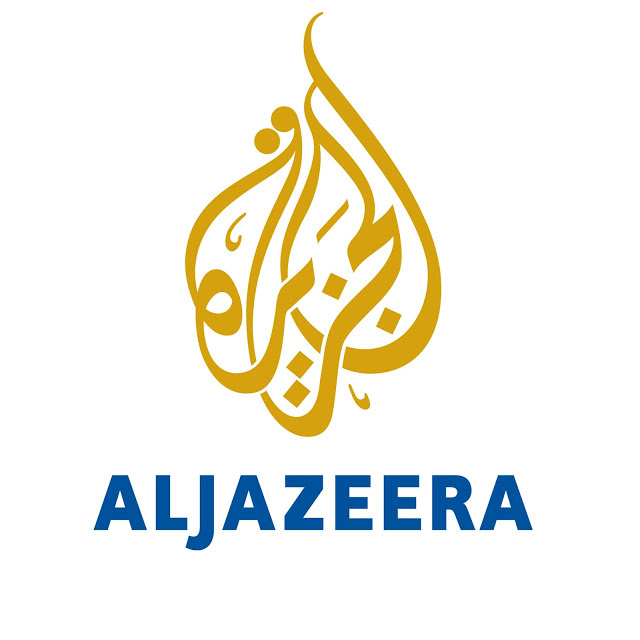 This video features a the Sudanese Amateur Cyclists group challenging the stigma. 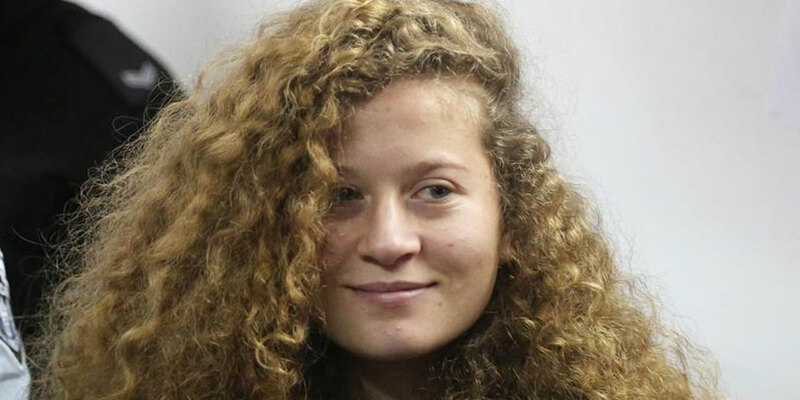 Ahed Tamimi, who went viral for slapping an Israeli soldier on camera, was freed after eight months in jail. 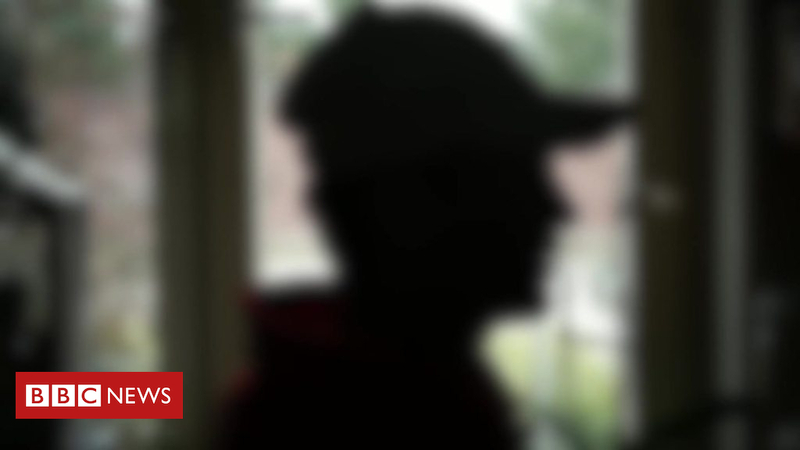 Due to Sweden’s strict laws on asylum seekers, some families hide Afghans in their homes. 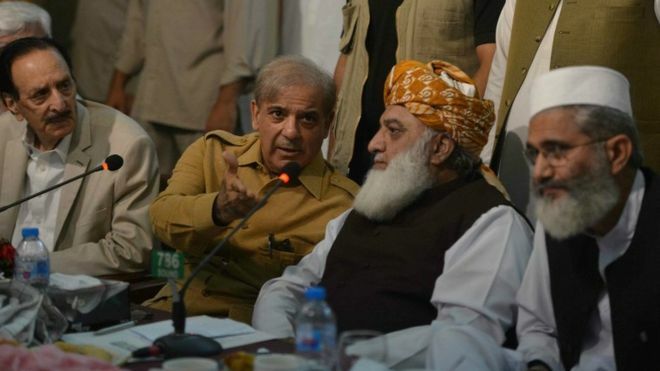 Rival party accuse Imran Khan’s party of vote rigging in Wednesday’s general election and call for a new poll. 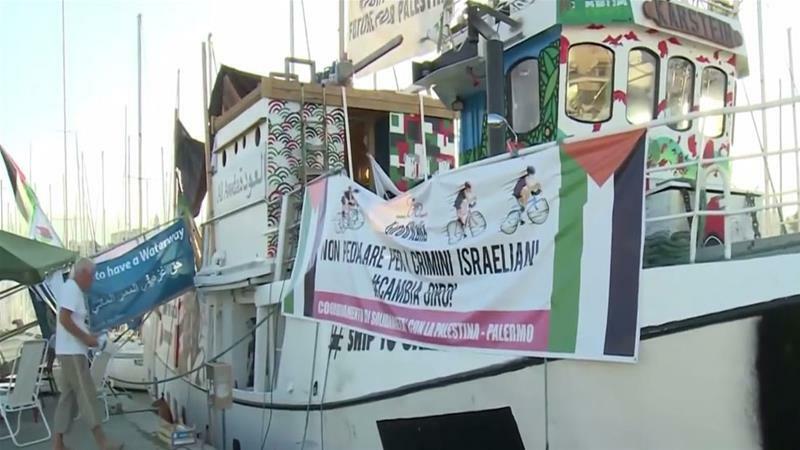 An aid boat from Italy, supposed to arrive in Gaza on Sunday, was intercepted and redirected by Israel to the Israeli port of Ashdod. 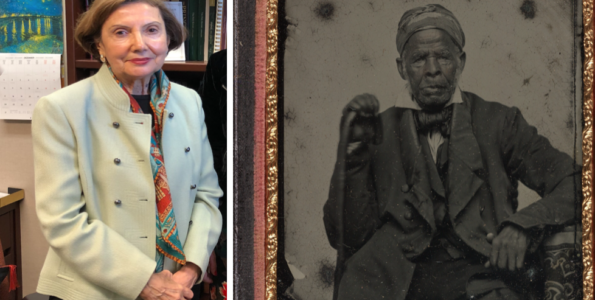 A Ph.D student gives a tour of Muslim sights in New York. 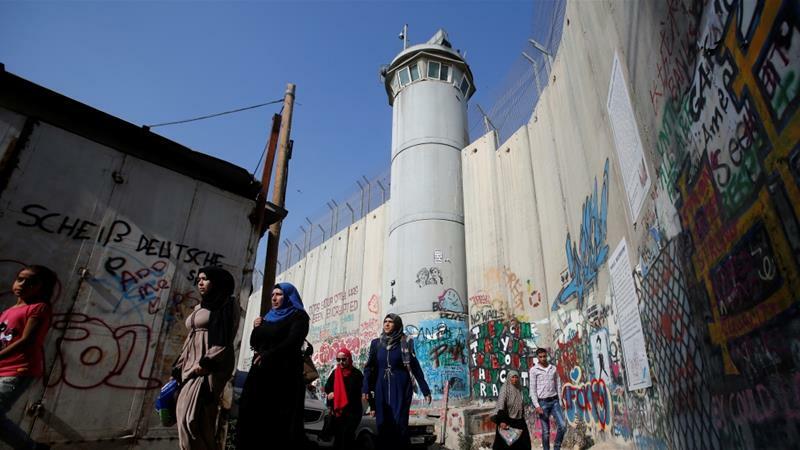 The author discusses the way in which the Obama administration paved the way for the Trump administration to embrace Arab dictators.